It’s no surprise many property investors, at some stage in their lives, have considered becoming selling agents.Probably because much of their time is spent searching for properties, inspecting them, imagining how they would improve them and how much equity they could make in 20 years’ time. With all this time invested, they might as well turn property transactions into their day job, right? Becoming a selling agent just appears the obvious choice for many. Can being an agent help you get ahead? Your first consideration is probably whether the income as a selling agent could help pick up your pace in building your property portfolio, or at least make servicing the loans easier. Your second consideration is also about whether the gained skills of a selling agent and daily exposure to property are also likely to help. 1. As a selling agent, your negotiation and people-reading skills improve every day, because you’re the middle person between sellers and buyers on a daily basis. The advantage: When negotiating to buy your investment property you’ll have the inside scoop on how it all works, and you’ll know how hard and far you can go on price and conditions. 2. Through other agent colleagues, you’re alerted to properties coming up for sale well before they’re marketed. You also know when new infrastructure, gentrification or developments are proposed for an area often before anyone else does. The advantage: This means you have more time to undertake due diligence and negotiation, and can potentially buy a property with good future gain potential in a less crowded market. 3. Your day-to-day knowledge of the property market and its cycles is not only better than most property investors, but you can also tap into a wealth of knowledge from your colleagues; industry experts who’ve worked through many more property cycles than yourself and often across several more property markets than what you know intimately. The advantage: This helps you know when to buy, when to sell, when to renovate for profit, or when to release your triplex development to the market for the best price or rent. 4. You can see firsthand what adds value at transaction time. The advantage: When you’re renovating or building new, you know where to spend the money to add value and gain the highest price. 5. You’ll understand more about buyer demand – where people increasingly want to live and what dwelling type they want to live in. The advantage: You’ll know what will rent and sell fastest. As the national real estate licensing system proposed for implementation in December has now been scrapped, it’s licensing business as usual across each state. Despite the false start of the nationalised system, three consistencies already appear to be evident across the nation when it comes to selling agent requirements. These include: the minimum requirement of a year 10 high school certificate, the age of 18 to practice, and the recommendation by real estate institutes that new selling agents start out as assistants to selling agents, also commonly known as ‘agent representatives’, before they become a selling agent. What that means is that as an agency representative, they’ll learn all the tricks and traps of the selling agent profession. It’s essentially a more glamorous name for an apprentice. An introductory course of study is usually completed, most can be undertaken online or in class, and generally run for two weeks full-time. This entitles the selling agent to either represent the licensed agent in transactions, or he or she can undertake a more intense course to register for their own licence. Minimum requirement: The CPP07 Property Services Training course will allow an individual to become licensed. Individuals must also be a person of good character and repute and a fit and proper person to hold a certificate of registration. What are the pros and cons of being an agent? – In a good selling market, commissions can be lucrative. – You don’t need a university degree to become a selling agent. Most licensing courses can be completed within two weeks. – The longer you’ve been in the industry the bigger your database of contacts will become, and the more money you could earn. – You’re out of the office a lot. – The negotiation and people-reading skills gained can help you negotiate better on your own investment properties. – You hear about properties before they enter the market. Also, you hear about when new infrastructure, gentrification or developments are proposed for an area often well before anyone else does. 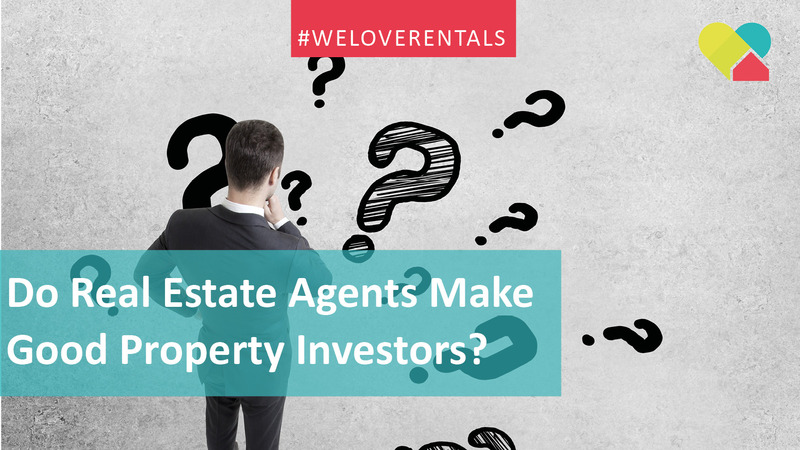 – Your day-to-day knowledge of the property market and its cycles is far superior to most property investors. – You can see firsthand what adds value at transaction time, which means when you’re renovating or building new, you know where to spend the money to add value and gain the highest price. – You’ll understand more about buyer demand – where people increasingly want to live and what dwelling type they want to live in. This means you’ll know what will rent and sell fastest, giving you a good advantage as an investor. – Having to tolerate the reputation of a selling agent. Many still joke they’re as dodgy as a used car salesperson. They’re often labelled as ‘untrustworthy’, though many selling agents believe this stigma is fading. – During a slow market, a great income can be more difficult to achieve. – Giving up weekends to open houses, conduct auctions, trying to tie up a deal before the infamous Monday morning meeting. Even on the weekday reprieve, the phone is running hot. And breaks are unheard of when agents only 15 or 20 minutes between open homes, to drive there, put the ‘open for inspection’ signboard out, unlock the door, put the brochures out and welcome in the prospective buyers. – Evenings are also difficult for agents to shut off. Buyers can’t always get to a property during normal work hours, so evenings are when private inspections often happen. This means the agent can work up until 8pm many nights of the week. – Having to smile and remain confident despite any faults the property might have. – The personal mobile phone number becomes the advertised contact number. So agents can never really shut off. – Limited workers’ rights. If a selling agent isn’t performing to the agreed level, at least to cover their peak cost, they can be sacked with little notice – two weeks in most cases. – Dealing with angry and disappointed buyers. – A free, no obligation market appraisal can take up a lot of time for little or no return. As you can see, it is a lot to consider, so make sure you thoroughly research your local market and look into all aspects of the job before jumping on board. Although, you may have the natural gift! Naked Real Estate have loads of information available to people who are thinking of making the leap. We hope you’ve enjoyed this blog and should you have any suggestions for content you would like to see, please feel free to contact us.